A Russian expedition that was set to explore and claim the Arctic for the Kremlin, by planting a Russian flag on the seabed at the North Pole, has suddenly ground to a halt Wednesday when a research ship broke down. 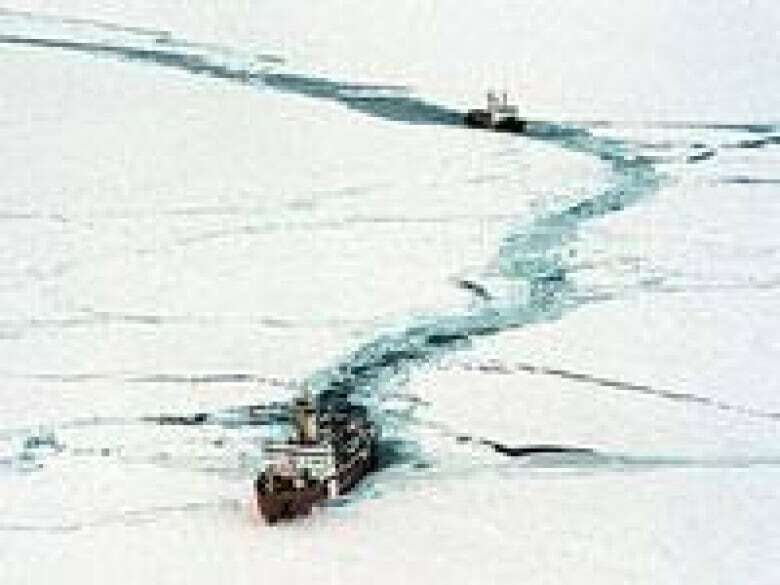 A Russian expeditionthat was setto explore andclaim the Arctic for the Kremlin, by planting a Russian flag on the seabedat the North Pole, suddenly ground to a halt Wednesday when a research ship broke down. The research ship Akademik Fyodorov suffered engine failureone day after it sailed from the northern port of Murmansk and was drifting in the Barents Sea about 111 kilometres (60 nautical miles)from the shore, state-run Rossiya TV reported. The Rossiya nuclear-powered icebreaker, which was leading the expedition, turned back to help and was expected to reach the stricken vessel Thursday. "We are heading back to Akademik Fyodorov to give it technical assistance," expedition leader Artur Chilingarov said in televised remarks aboard the icebreaker. Another assistance team was sent from Murmansk, Rossiya reported. It was not immediately clear how long it would take to fix the problem. The engine failure dealt a blow to the mission, which is aimed at finding evidence that the seabed is geographically linked to Russia and thus part of its territory. "The Arctic is Russian," Chilingarov said before the missiondeparted Tuesday. "We are going to be the first to put a flag there, a Russian flag at the bottom of the Arctic Ocean, at the very point of the North Pole." Explorers were expected to launch mini-submarines on Sunday, after the icebreaker smashed a hole in the ice, the Associated Press reported. The three-person submarine crew had planned to carry out scientific experiments before planting a titanium flag on the seabed. Under international law, the five Arctic countries— Canada, Russia, the United States, Norway and Denmark (through Greenland)— control an economic zone within 320 kilometres of their continental shelf. But the definition of the limits of that shelf are in dispute. Moscow has claimed a portion extending as far as the North Pole, claiming the Arctic seabed and Siberia are linked through the same continental shelf, the Lomonosov Ridge. Moscow maintains it has a right to the mineral riches beneath a chunk of the Arctic sea bed the size of Germany, France and Italy combined. Scientists also believe that climate change could cause Arctic ice to melt, opening up the Northwest Passage as a shipping route. Aside from the Russian claim that it is connected to the Eurasian continent, scientists in Canada and Denmark have argued that the ridge is an extension of their continental shelf. The undersea Lomonosov Ridge runs some 1,800 kilometres across the Arctic ocean, stretching from islands off Siberia to Canada's Ellesmere Island. In April, scientists from both countries resumed collaborative research to map the Lomonosov ridge from northern Ellesmere Island almost to the North Pole. Their research could determine whether either country or both can claim sovereignty over the area. Earlier this month, Prime Minister Stephen Harper announced Ottawa was buying eight new Arctic patrol ships and building a deepwater port to help assert Canada's authority in the North. "It is no exaggeration to say that the need to assert our sovereignty and protect our territorial integrity in the North on our terms has never been more urgent," Harper said. Opposition politicians criticized the move, saying the ships are smaller and lighter than the three naval ice-breakers Harper promised to buy during the election campaign. Harper said the lighter ships would be able to patrol more of the coastline.